Greenwood Does it Again; From One Big Blind to €1,000,000 Victory! 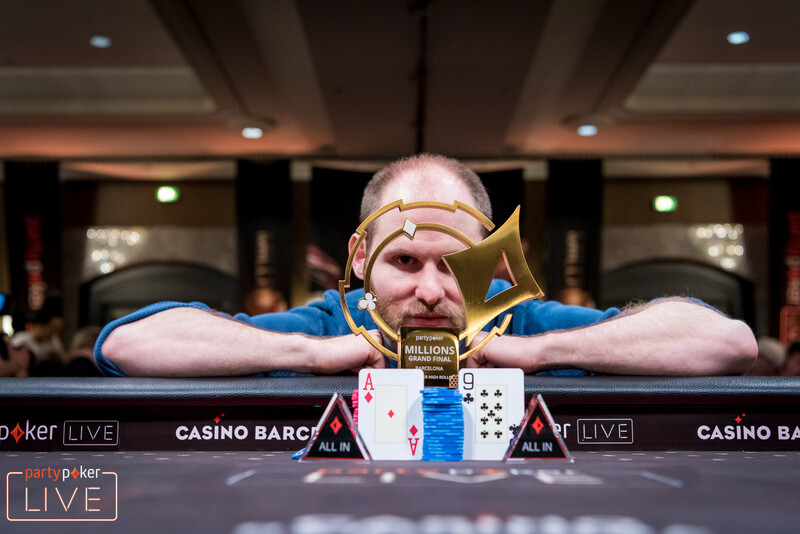 The 2018 partypoker LIVE MILLIONS Grand Final at the Casino Barcelona has crowned another champion and the first player scooped a seven-figure payday in the record-setting festival. Only seven players returned to their seats on the feature table out of 57 entries, and a lengthy bubble in the previous night resulted in four very short stacks for the final day of the €51,000 Super High Roller. Among those was also Sam Greenwood, who led the partypoker LIVE MILLIONS Season 1 leaderboard in terms of cashes prior to Barcelona. After an amazing trip to Punta Cana, he had more than $1.3 million racked up on the newly established tour, and he almost doubled that after staging an impressive comeback. In the Caribbean, the Canadian high stakes regular had been down to a few big blinds. In the second most-expensive event of the Barcelona festival, it was even more incredible after Greenwood came back from 600,000 chips at blinds of 250,000/500,000. Several double ups later, he was suddenly in heads-up against Sergio Aido and that's when the action slowed down a lot. No big pots were played, but Greenwood eventually pulled away to establish a decent lead. In the final hand, he barreled three streets with ace-nine for flopped top pair, and Aido called him down with jack-ten for a double gutshot on the turn and third pair on the river. “He is a tough player, we didn't have much to play with on 30 big blinds at heads up. 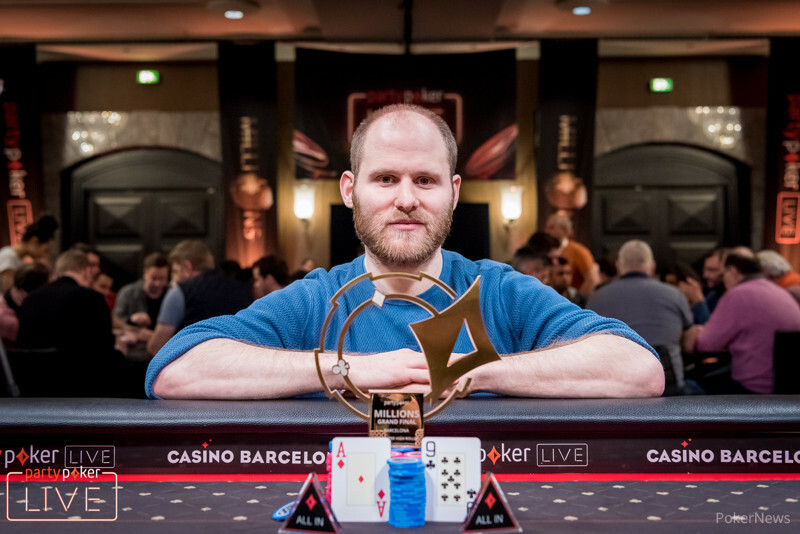 I just had the best hand most of the time on the river, so that was easy.” Aido had to settle for second place and a payday of €600,000, he is the second Spaniard to finish runner-up in a Super High Roller during this festival. It is the third-biggest cash for Aido, who will boost his earnings on the live circuit to more than $7 million. While Greenwood has been a regular in the High Roller tournaments and ran extremely hot at the 2017 partypoker LIVE Caribbean Poker Party on Punta Cana with a victory in the Main Event, the triumph here in similar comeback fashion feels special to the Canadian. 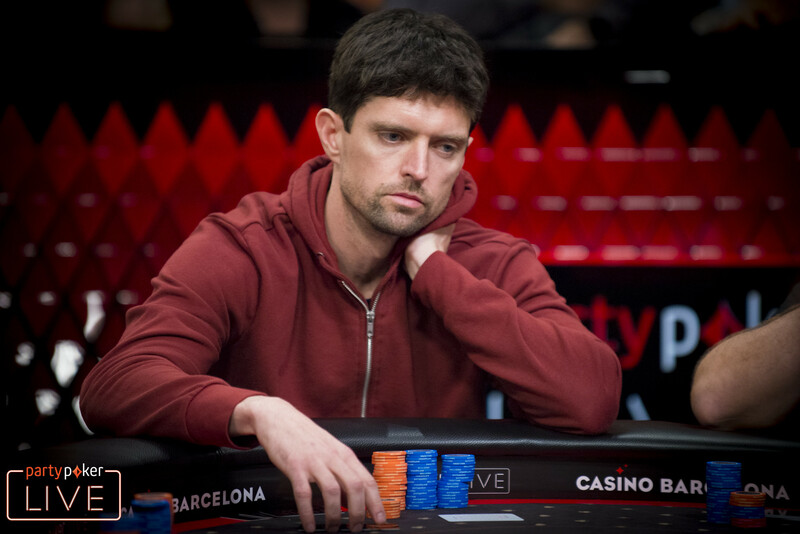 The next high stakes event is just around the corner with the ongoing €100,000 Super High Roller, and Greenwood confirmed that he will be in the hunt for another trophy after taking a short break. 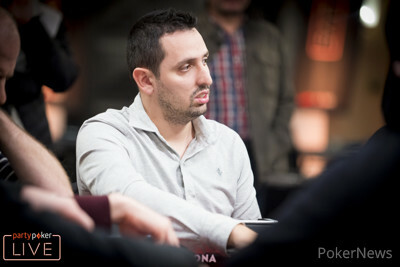 The event attracted a field of 57 entries in total for a prize pool of €2,764,500. 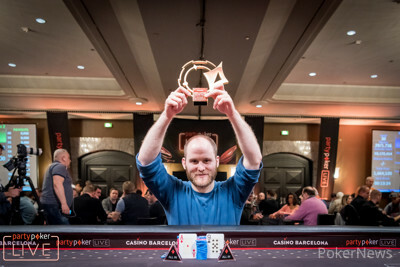 Seth Davies ended up as the bubble boy in the previous night, while partypoker ambassador Joao Simao continued his hot run in 2018 by adding another €160,000 score after finishing 6th. Start-of-the-day chip leader Patrik Antonius fell in 3rd place for €400,000. The Super High Roller action continues right away as the €101,000 Super High Roller is currently in level five with up to 35 entries. Late registration remains open for eight levels and that may very well see the guarantee of €2,000,000 to be doubled. Down to the last three players, Sergio Aido and Patrik Antonius were in the lead with Sam Greenwood at half of their respective stack size. However, it wouldn't take long before things changed. A move of Antonius with eight-six for bottom pair against the ace-four of Greenwood on an ace-high river backfired and suddenly it was Antonius in need of help. The Finn eventually had to settle for €400,000 though. After defending his big blind with to flop top pair on , his shove was called by Aido in a battle of the blinds. The Spaniard looked him up with for the open-ended straight draw and flush draw. After the turn Aido immediately got there, and he even improved to a flush with the river. There were no deal discussions between Aido and Greenwood, the former holding a solid chip lead of around 36 million to 21 million. Aido has been running very hot especially on the Asian poker circuit, but also added a decent score in Prague at the end of 2017. He won't be able to top his career-best score though, but who wouldn't mind a cool €1,000,000 and stylish trophy for the efforts? Second place still comes with a tiny consolation prize of €600,000, which isn't too shabby either. On the other side events the chips are splashing. The €1,100 Open Event is down to just 50 players and floor staff recently announced a new blind level in 500,000-1,000,000. Yes, that's ONE MILLION chips out of the big blind and button ante. The €2,700 Warm Up has seen the field reduced to some 150 hopefuls and a mega satellite with 50 tickets guaranteed has attracted a field of 300 entries thus far. Back at the 2017 Caribbean Poker Party, Sam Greenwood had staged a stunning comeback from very few big blinds to take down the Main Event title and seven-figure payday. Greenwood is at it again here at the 2018 partypoker LIVE MILLIONS Grand Final in Barcelona as just three players remain in the €50,000 Super High Roller. 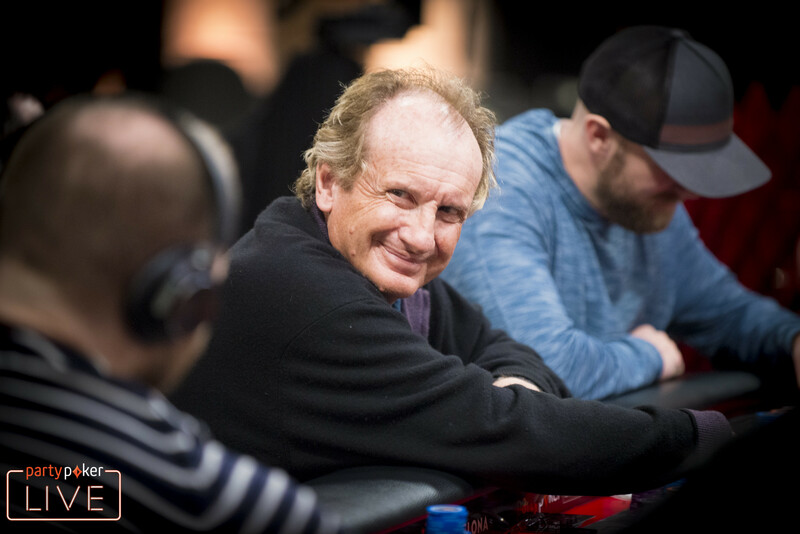 The all ins kept coming in quick succession and Greenwood doubled multiple times after being previously down to 600,000 at blinds of 250,000/500,000. One of the double ups was with ace-queen against the ace-six of Sergio Aido, who then scored a crucial double for 12.75 million with against the of Keith Tilston. Jean-Noel Thorel would bow out in 5th place. He got lucky when his ace-ten suited beat the kings of Greenwood, but the final all in saw the Canadian take revenge with versus , the board ran out . Tilston hung around for the payjump and his ended up second-best to the of Patrik Antonius. It was tough after the flop, the turn gave some hope and Tilston was eliminated after a blank river. That left the remaining trio with at least €400,000 locked up, an easy four buy-ins for the €100,000 Super High Roller that is about to kick off on nearby tables. There was some delay in getting cards in the air while eight players gathered on two tables and asked for a slight change in the setup. Eventually, everyone agreed on an initial shot-clock format with 45 seconds to act preflop and 30 seconds after that, with six time bank extensions granted to each participant. Two tables will soon grow to three as several other high stakes regulars have been spotted outside of the tournament area. Matthias Eibinger was the first of four short stacks to get his stack in and ran out of luck with ace-king versus queen-jack before a string of double ups changed the stack sizes dramatically in quick succession. Sergio Aido scored a big double with against the of Sam Greenwood, who then stayed in contention with cracking the of Patrik Antonius thanks to four diamonds on the board. Greenwood doubled once more with against the of Aido, as a nine on the flop was followed by an ace on the river. 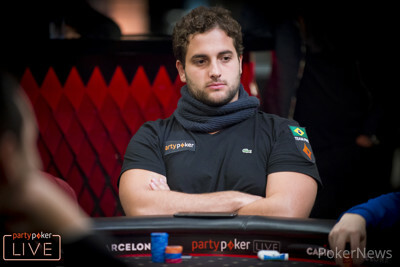 Eventually, partypoker ambassador Joao Simao ran out of chips soon after when his could not hold up against Aido's , a queen and jack appeared on the flop. Simao, who scored his third partypoker LIVE MILLIONS Super High Roller final table, added another €160,000 to his poker resume. In fewer than two full levels, the €1,100 Open Event #1 has lost almost two dozen players and there are just 64 hopefuls in contention. The €101,000 Super High Roller is preparing for the start but there will be a delay of 15 minutes before any cards get in the air. 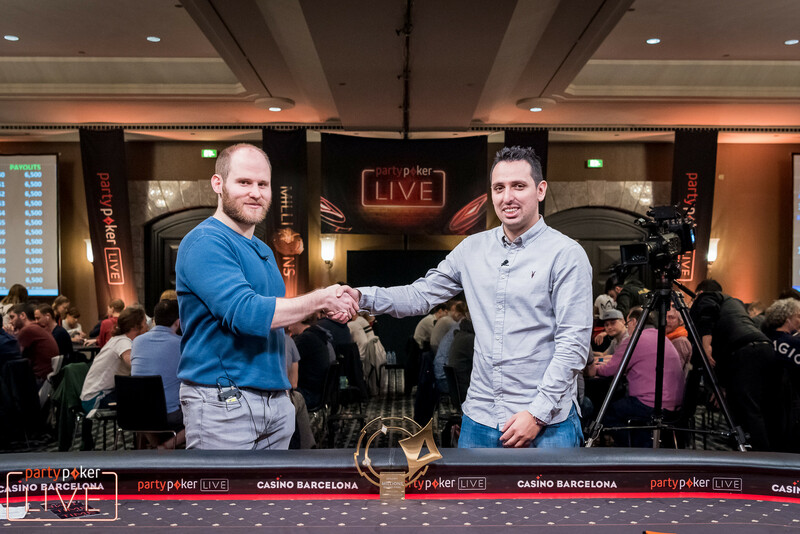 The 2018 partypoker LIVE MILLIONS Grand Final Barcelona at the annex of Casino Barcelona is gearing up further towards the main highlight of the festival, as a satellite for the €10,300 Main Event is taking place today. Furthermore, four seven-figure prize pools are seeking to be be shared among the players. First of, Day 3 of the €1,100 Open Event #1 will see 87 players out of a massive field of 1,716 entries return to the tables and they all have €4,750 locked up for the efforts. 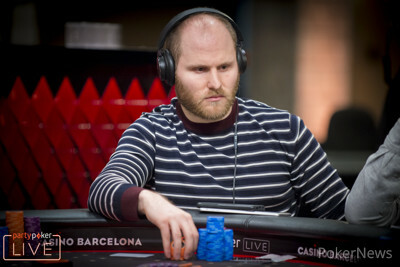 Christophe de Meulder leads the pack that chases a first-place payout of €250,000 and the tournament may have to add an additonal day in order to determine a champion. 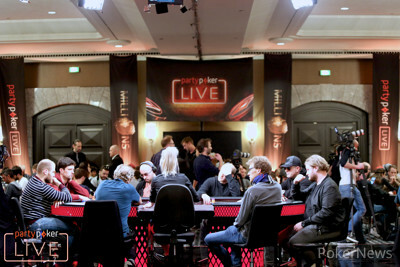 At almost the same time, the final seven of the €51,000 Super High Roller will return to their final table. The money bubble burst after a lengthy stale last night, resulting in three big stacks and four short stacks of just above or below 10 big blinds. This should make for a rather interesting table dynamic when cards get back in the air and partypoker ambassador Joao Simao is chasing more High Roller glory in 2018, Patrik Antonius leads the pack. As of 12.30 p.m. local time, Day 2 of the €2,700 Warm Up will see 242 players out of 749 entries back in action. The initial guarantee was almost doubled and more than €1.8 million are up for grabs. The most expensive tournament of the festival here in Barcelona, the €101,000 Super High Roller, is then scheduled to kick off at 1 p.m. local time, though as usual these kinds of buy-ins never get underway exactly as planned. The PokerNews team will provide highlight articles throughout the day on the High Roller Events and you can also follow the updates of the Warm Up as well. For all updates of the €51,000 Super High Roller and the €101,000 Super High Roller, head over to the My partypoker LIVE website to join the chat, watch the stream and take part in competitions along the way.